Get fit, lose your belly and get behind the scenes at your local club, all for free. Are you a man or women aged 35-65 years old? Is your waist size at least 38 inches? Do you want to lose weight, have a healthier lifestyle and ultimately be fitter? Our 12 week Football Fans In Training programme can help you do this for free. 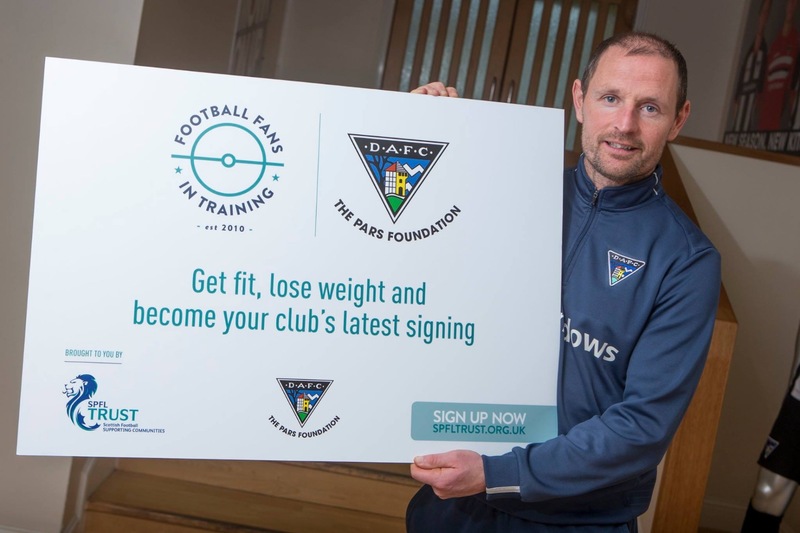 You’ll get a behind the scenes look at Dunfermline Athletic Football Club, be trained by selected club coaches, have a nosy at the trophy cabinet and have the chance to talk tactics in the dressing room. Who knows, maybe you’ll even bump into a player or two. So what are you waiting for?